Chester Gigolo is a Berger Picard who dreams of stardom. In this diary of his ambitious first year, this canine actor, ­athlete, and author recounts his exciting life in New York City—from his rigorous puppy training to his athletic ­triumphs and quest for the limelight. Whether adventuring into town on his own, appearing on television, or ­posing for magazine covers, ­Chester always manages to find mischief. His unique hijinks have attracted national attention as well as occasional ­disapproval from his adoptive parents, Mom and Dad Potter. 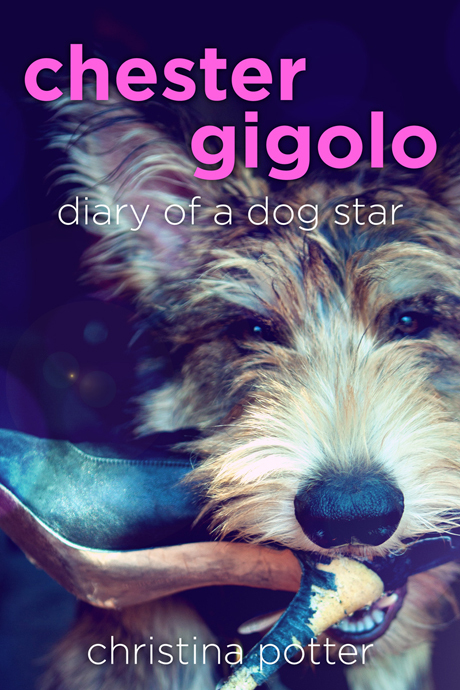 This Picard is one-of-a-kind, and his Diary of a Dog Star will entertain readers and dog-lovers alike. Christina Potter has been training dogs for over twenty years. She has trained various breeds such as Golden Retrievers, Chinese Cresteds, Berger Picards, and an Afghan Hound. She has spent thousands of hours working with dogs on print ads, websites, motion capture for video games, commercials, and television shows—both live and pre-recorded. She was the main trainer on such feature films as Funny Games, As Good As Dead, and Our Idiot Brother. She has also trained dogs to compete in Rally, Competitive Obedience, Conformation, and Agility.